Michael Porter was a good football player at Jefferson Davis High School in Houston. The trouble is, he was the only one. 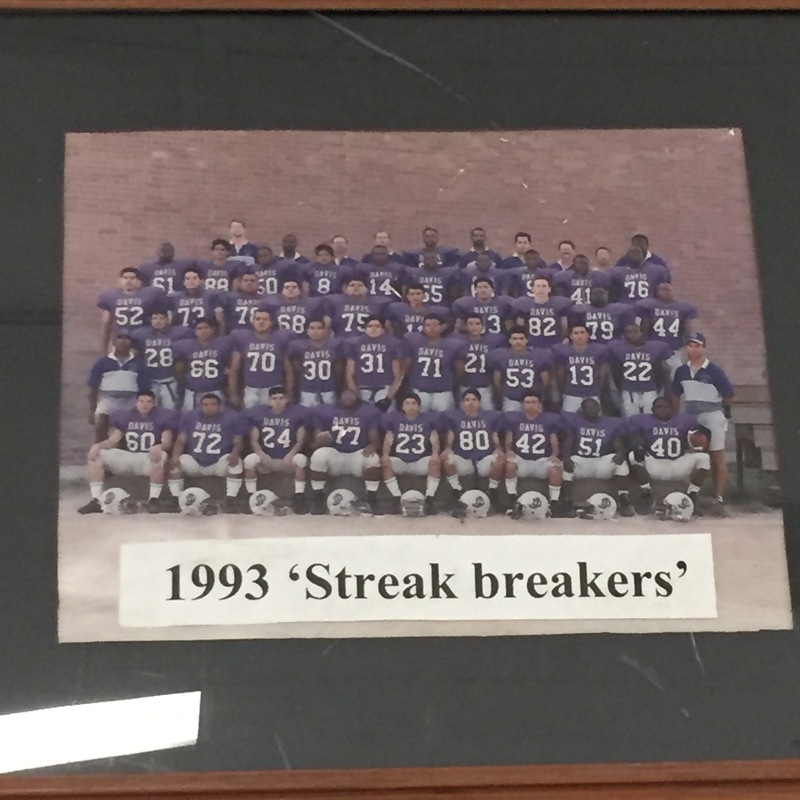 They were in the middle of an eight-year, 80-game losing streak, the longest in high school history. 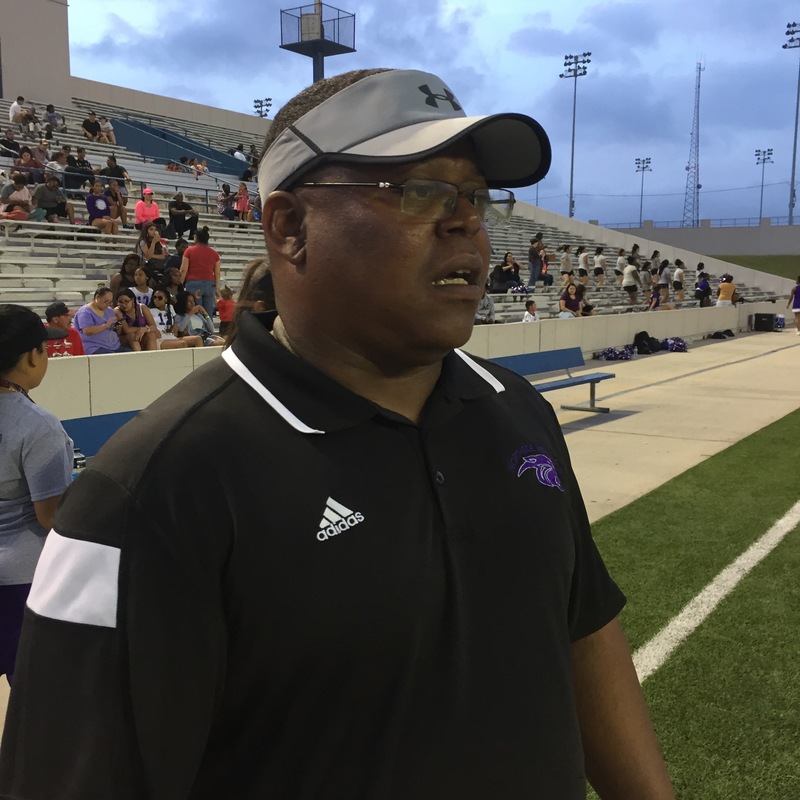 Then Porter played college ball at Prairie View A&M—which was in the middle of an 80-game losing streak, the longest in NCAA history. Now Porter’s the coach at his alma mater, renamed Northside High. 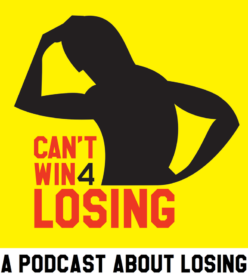 This story is an update of Can’t Win 4 Losing‘s pilot episode, which aired in July. It’s also an expansion on host King Kaufman’s story that ran on NPR’s Only a Game on Nov. 18, 2017. Porter was on a bus returning to Houston from a Prairie View A&M loss when an assistant coach told him his high school had won. The coach had seen a newspaper. It was national news. The team photo above is on the wall of the Northside football team’s weight room. 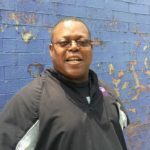 Michael Porter is the head football coach at Northside High School in Houston, which was called Jefferson Davis when he was a student there from 1988-92. He was a running back on the football team who was good enough to play as a freshman. One newspaper account described Davis’ entire offense at the time as “Michael Porter left, Michael Porter right.” After being part of the longest losing streaks in high school and NCAA football history, he was hired as an assistant coach at his alma mater. He took over as head coach in 2013. 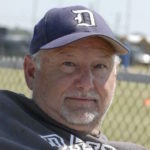 Chuck Arnold was the head coach at Davis from 1991 through 2012. He led the team to an undefeated season and the state playoffs in 2008, but is probably best remembered for bringing the eight-year, 80-game losing streak to an end in 1993. Porter says he still checks in with Arnold for advice on football and coaching. This photo is from 2011. Ja’Michael Jordan was a sophomore defensive tackle on the Northside football team when he was interviewed for this episode. Patrick Brown was a senior running back. Jordan is now a junior and Brown has graduated and is attending college. You can watch Jordan’s highlights and Brown’s highlights at Hudl.com. The absence of photographs is a result of King Kaufman’s inexperience as a podcaster when he was reporting this episode!